Kathy Sargent is Market Director for Corbion, a leading company in emulsifiers, functional enzyme blends, minerals and vitamins, and the global market leader in lactic acid, lactic acid derivatives and lactides. As Market Director, she is responsible for the strategic direction of the Bakery Industry market unit and works to ensure organizational alignment, driving for business results through strategy development, strategic project leadership, and plan implementation. 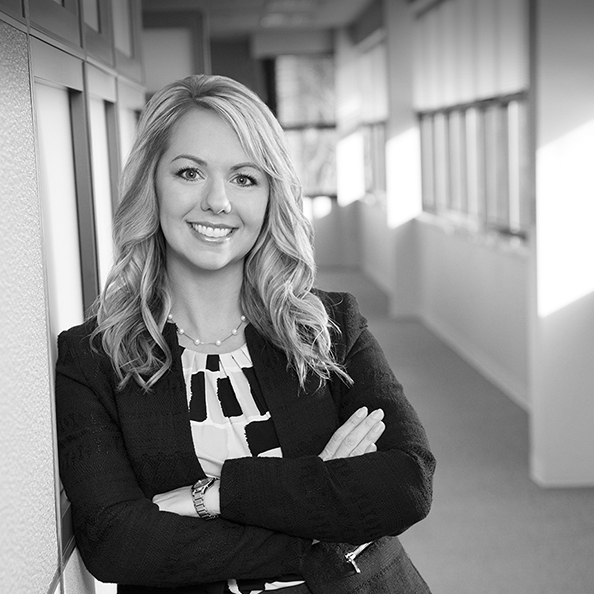 Ms. Sargent joined Corbion 11 years ago, and has consistently risen through the ranks. A Market Director since July 2016, she sets the direction for portfolio shifts in Bakery; owns the launch phase of major projects and initiatives; and follows projects through sales execution, customer implementation and reporting. In addition, she is responsible for nurturing the culture of the company and the personal development of her team. A graduate of the renowned Bakery Science program at Kansas State University, Ms. Sargent holds a master’s degree from K-State in food science and technology. She lives in suburban Kansas City with her husband and two children. As a child, I loved the creativity of baking and decorating cakes. I would take elaborate three-tier cakes to our church potlucks. Once or twice, my masterpiece got moldy before I let anyone take a bite! When it was time to declare a major in college, I had an aptitude for science and math, but lacked the stomach strength for a career in medicine. Schellenberger Hall at K-State became my new home and I fell in love with the science of baking and the closeness of this industry. When I started my career, the biggest challenge that hit me was how completely new everything was. My parents were both teachers and I didn’t grow up developing or evaluating products. The first time someone showed me a “scoring room,” I was clueless as to what they were talking about. I had to learn the language and unique culture this industry has to offer. Either as a young student tagging along behind a plant manager or a professional woman running plant trials, there can be a tendency for others to try and protect you in a manufacturing environment. While the gesture is sincere, I always want to roll up my sleeves and get dirty. The amount you learn from tackling the project yourself is invaluable. I find it important from the moment you enter the facility to show confidence, carry your own boxes, and demonstrate your willingness to work hard. I’ve worked in the bakery industry 11 years as a professional and five years as a student/intern. My work with Corbion’s Ultra Fresh Sweet® portfolio really stands out as a highlight, because I was involved from inception through execution, and the project made a major impact for our customer. We had a great team on this project, and my leadership abilities grew as I worked with them and the customer’s resources. For me, this project was a wonderful journey. I began development work on the portfolio as an innovation scientist, launched it as the team leader, and did follow-up with the strategic partner. And the portfolio enabled our customer to be a leader and really change the game in the baking space. I’m very proud of the entire team’s work on the Ultra Fresh Sweet portfolio, and of the way I have grown my career and expanded my knowledge and responsibilities at Corbion. Our industry is very traditional and has a strong heritage. I’d like to respect the history, while generating new excitement in the baking space. There are so many energetic foodies in the market and the industry. Let’s pull their talent and passion in! I am responsible for future growth in Bakery for Corbion, so I take a long-term view on how we select priorities where we can win big, and then I work to align the organization around those strategic areas. It’s my job to drive results, so my responsibilities are widespread. They include everything from strategy development and project leadership, to budget and pricing work, to key account customer planning, to employee development. Go for it! This industry has so much to offer and is full of opportunity for those who are ambitious and eager to grow. Once you get in, it is not so easy to leave. Family and time with friends come first; I like to watch my son wrestle or my daughter dance, or go to a concert with friends. As my children are getting older, I have new freedom, and I’m enjoying more time with my husband, sharing his many hobbies. I now have two medals for trap shooting and just spent my first evening in a tree watching deer. It got a little shaky when the wind started blowing, but I didn’t fall out! My parents are my role models. They demonstrate an unbelievable alignment everyday with their priorities in life – people and family – and they have strong morals driven by faith. With their never-ending patience and positive attitudes, my parents have taught me, “Don’t sweat the small stuff,” and “See the best in others.” Thanks to the trust they put in me, even when I was young and clueless, I’ve always had space to learn and explore. I thank them for my independent attitude, my drive to discover, and the strong moral compass that keeps me out of trouble. I’d definitely invite Kansas State Football Coach Bill Snyder! He wouldn’t be the most flamboyant person at the party, but his soft-spoken voice carries exceptional knowledge about how to inspire and lead. I have always been intrigued by the ability to motivate others with positive influence. Coach Snyder personifies that ability, with his talent at bringing together a diverse, rotating team in a short amount of time; creating leaders and a sense of family; and building a foundation of strong morals and life skills to set his team up for success. It would be fascinating to be my three-year-old daughter 60 years from now. I’d like to see what’s happening in the bakery industry in the future, but, beyond that, I could see what her life is like in 2077. What is her brother’s life like? And, most importantly, are they taking good care of their really old mom? It would have to be an ABA event. The quality of participants at these events is always incredibly high, and I appreciate and enjoy the opportunity to interact and learn from them. The ABA programs focus on what’s happening next, and that’s exciting. For example, we go to the capitol and lobby for what’s important to the future of our industry. Yeast donuts – I’m still nostalgic about eating sprinkle-covered donuts on Saturday morning as a kid and licking the pink frosting off my fingers. Never be afraid to go outside your comfort zone and try something new. Every experience and relationship in the industry has value. Success is pushing yourself to do new things and being fully satisfied and excited with the work, regardless of the outcome. Push yourself so hard that you learn, you grow, you make a positive impact on yourself and the future. What would you say that your proudest moment has been in your career? I’ve reached the point in my career where young scientists come to my office for advice. I’m proud that they are comfortable doing that, and that I can leverage my experience to help build their careers and provide guidance that gives them the confidence needed to stretch outside their comfort zone. In my freshman year of college, I had a roommate who was in Bakery Science and she introduced me to the industry. Once I got into it, I knew it was a great fit for me – I never changed my major. My other big break was getting a job at Corbion right out of college. I have had opportunities to grow and build my career within the company, doing innovation work and leading groups. Now, as a Market Director, I’ve completely moved into a new area of the business, looking at future, strategic growth.